16 Fabulous Finds to Decorate your Home this Christmas! Here at Ice the Cake we are counting down Christmas by showing you some of our fabulous suppliers. 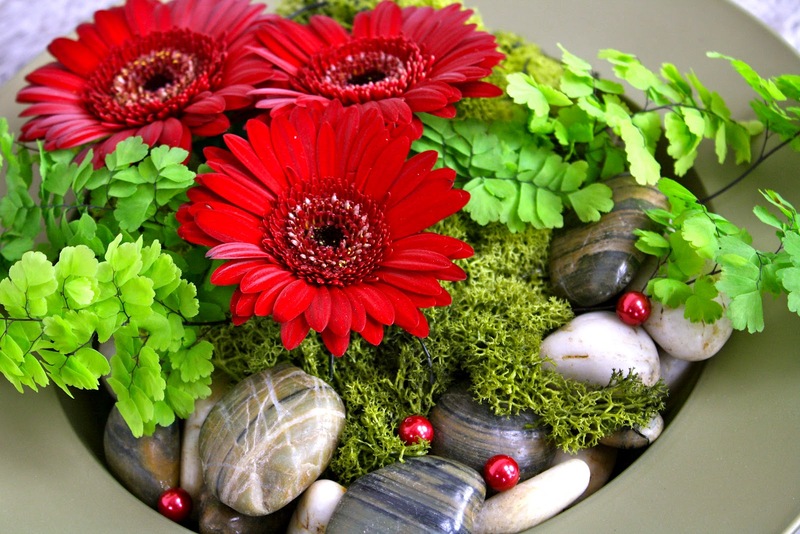 Today we have some lovely ways in which you can decorate your house with flowers and alternative displays. 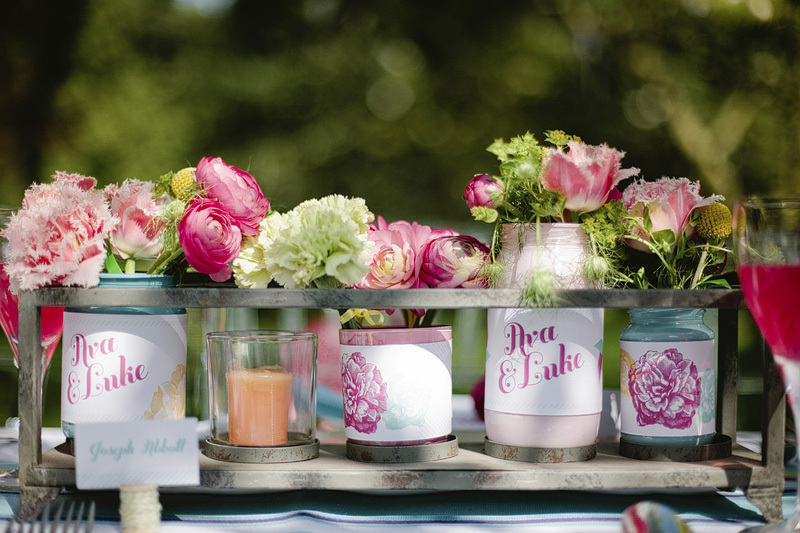 Remember that you can find all these suppliers via the Ice the Cake Website Directory! It feels like I’m getting ready to go on Blue Peter, double sided tape, bright ribbon and yoghurt pots at the ready, I’m off to see the local school’s reception class, to talk to them about my job, and to make a small posy with them. I’ve pre cut nearly all the flower materials, and soaked the oasis, and the children are all bringing a yoghurt pot. I do it step by step, and finish letting them choose a colour ribbon and writing a card! The teacher deserves a medal I’m there three hours and feel like a nap when I come home! No chance! I have four orders to make up for delivery and flowers to create for a photo shoot tomorrow afternoon! First to the wholesalers for flowers, I try not to go every day, but also to go regularly enough to keep a good stock turnover, and keep getting new things in particularly seasonal flowers, I just love the summer stuff, beautiful stocks, peonies and delphiniums! Amazing colours and scents. 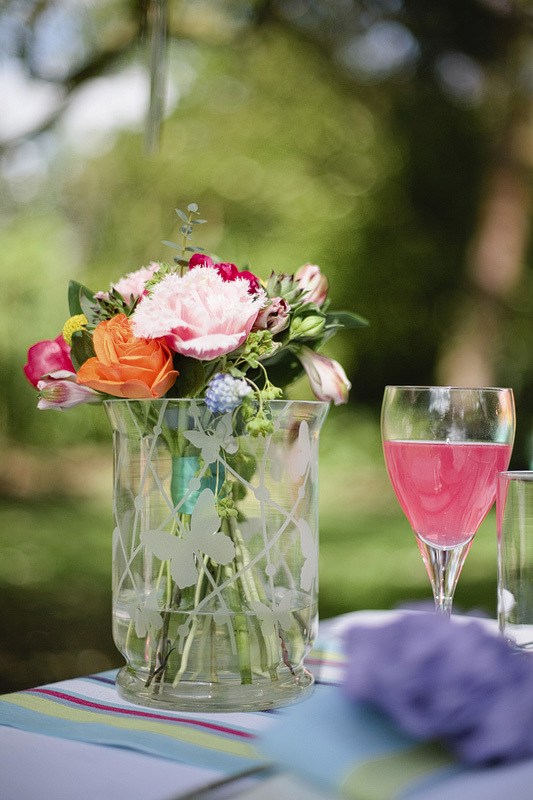 The items for the photo shoot are ordered, as its been styled by wedding planner Darling Belle Events, but I have pretty much free range for the orders which is great, I can be more creative and more often or not you get better value for money this way. My Mum is a fab delivery driver and free, so she takes out the afternoons orders, two in the village and two in Aylesbury, different sides mind you! Mum doing this gives me time to get on with the shoot flowers, I’m so excited its a rainbow themed wedding shoot, and the mood board supplied by Amanda at Darling Belle Events had my brain over flowing with fab ideas, heres some images of what I created, captured by the fantastic……….. 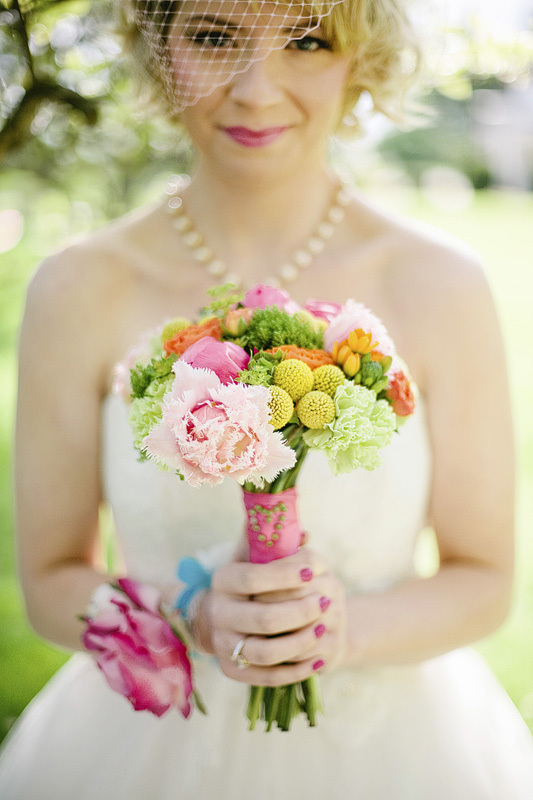 I love the vintage feel, mixed with bright colours, it proves it can be done!! The evening is a painting one, the suns out so with a glass of white wine (large if your wondering) I head with my water colours to the patio. Once a bride has paid the deposit for her wedding, I do her an artists impression, this saves making a sample bouquet which is costly, and along with sample stems of her chosen flowers is a unique part of my service, which brides really seem to appreciate. 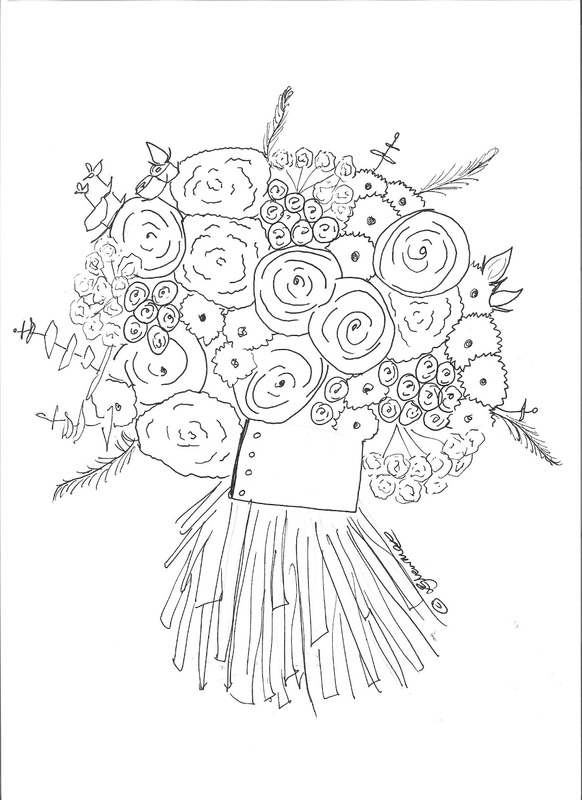 Heres one I did a few weeks ago, with the actual bouquet next to it, to give you an idea. 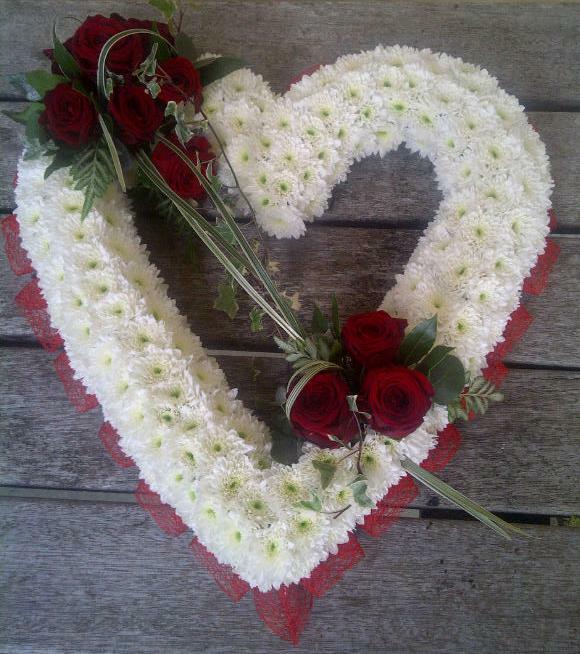 I left the Signature Flowers studio at 7:15 with the funeral tributes and dropped them off, the undertakers were expecting a lot of items, but hadn’t considered quite how many with some others as well as my designs being delivered. It was decided as it was a village funeral I would take some of mine back and display them in the church for when people arrived. When back from the church it was time to do todays contract flowers for a local hotel, they have one large arrangement and several small vases with flowers for the guest rooms each week. 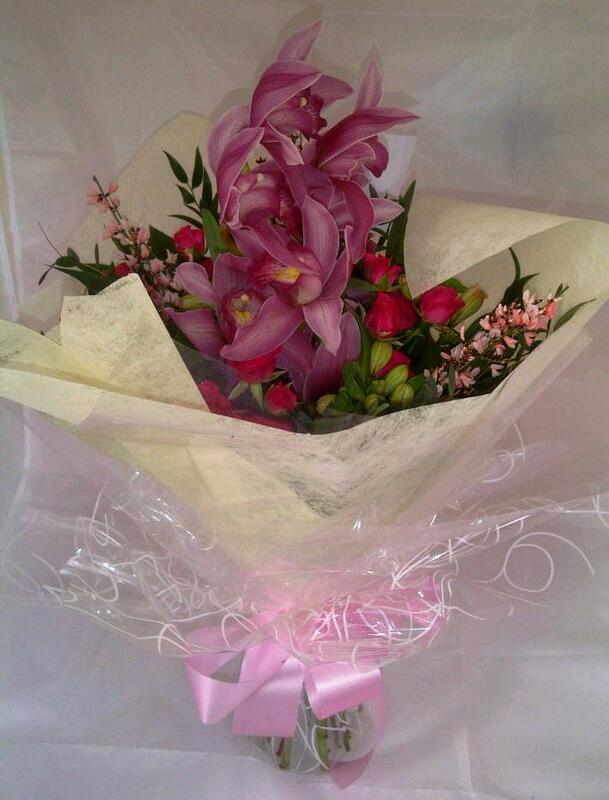 This week they have stunning pink cymbidium orchids, replicated in wine glasses on in the bedrooms, these are delivered at about 3pm, and last weeks flowers are collected together and removed, when home, the flowers will be thrown away, and all the glassware washed and polished. The lady I delivered the flowers too was celebrating her 70th birthday and loved her pink bouquet made up in her favourite colours, so much she sent an email later that day saying so! She wrote; I just wanted to thank you for the most exquisite flowers I have ever seen! I have been playing around with flowers for years but have never received such a well put together “ bunch” before and the colours and the flowers were perfect. So thank you it gave me great pleasure! 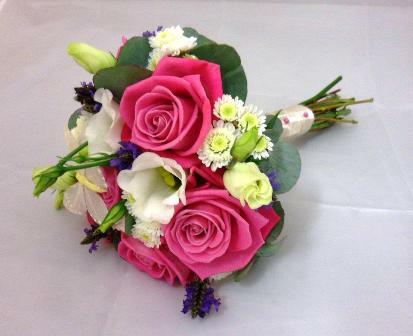 That’s it for actual flowers today, so I get down to some wedding work, I have a wedding in two weeks time, so I must check their final payment has been made and send them a final itemised quote to sign, as this will allow them to make any final amendments. Fortunately she replies almost instantly so I am able to draw up my order sheet, to work out flower totals and place the order with my wholesaler. I also have time to reply to several other enquiries, requesting responses. One was a school enquiring about prom corsage deals for their students, a great way of getting business, taking a corsage bar to a school over a few lunchtimes where the students can pick what they’d like! Early night tonight after some preparations for tomorrow morning, teaching a reception class how to make posies. The alarm went at 4:45 … This means its time to get up for a trip to the wholesalers, I use two, but as its a large order I’m traveling to Sarratt to collect an order I placed last week. Fortunately I can drag my boyfriend along to keep me awake on route … he loves early starts, I’m sure? Once there, and armed with a strong coffee we head to the order area, where I can check everything in my order against the list, and ensure everything is the right colour and standard I need, fortunately everything is lovely so, I get it loaded into the car … it’s days like this I wish I had a van. I gather a few sundries I need and some fabulous teacup baskets and head home. When back and organised its time to condition all the flowers, its crucial this is done, to prolong the vase life of the flowers. They are all re cut, and put in clean containers with fresh water and flower food and stored in the cool. This takes about 2 hours, as each flower is done individually. Any breakages are cut down and saved, they can come in handy. I made two gift bouquets, one for collection this afternoon and one to be delivered tomorrow morning. 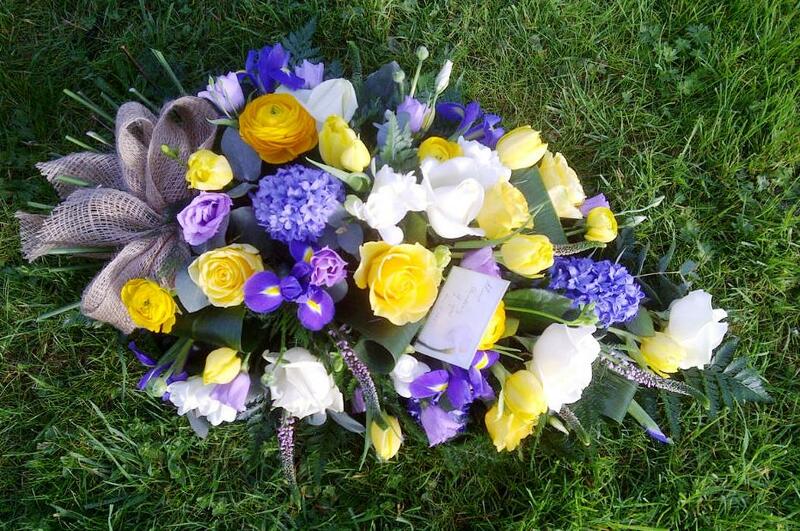 After lunch, and checking the emails from brides and customers its back to work, the funeral order I’m working on is for delivery at 8am tomorrow morning. The customer has ordered 5 items from the immediate family and there are 4 others from family friends. The designs were all prepped yesterday so edges were ribboned, or foliaged and the bespoke design of an armchair was formed. 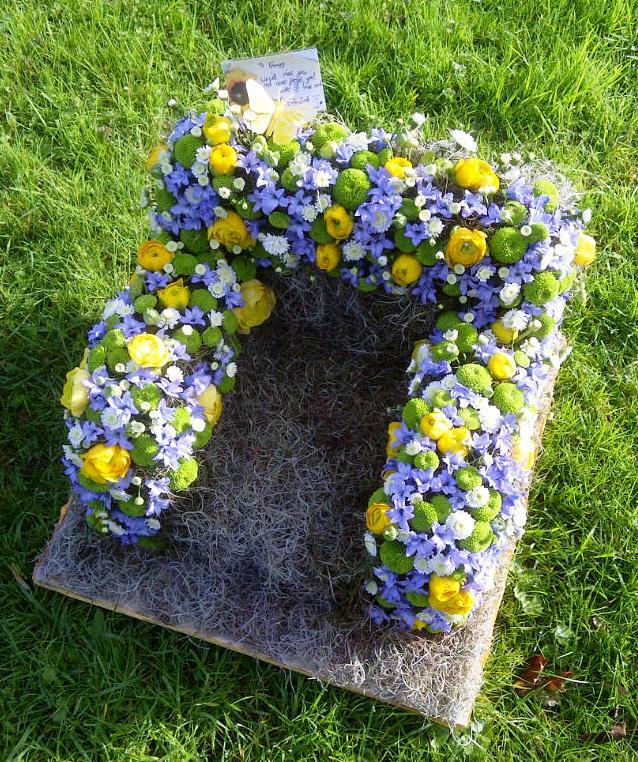 The daughters of the deceased dropped by at about 4pm to check progress, adding an additional order of roses to throw in grave, and drop off cards for tributes, one from the Grandaughter was particularly beautiful, and made me shed a tear or two. Once all the flowers are done at nearly 9pm they are all misted with water, and the cards are all put on, this is often the hardest part for families, and we have a selection of sample messages to help them with what to write if necessary. 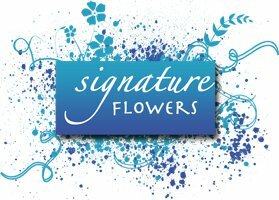 Signature Flowers was born in late 2010 at the same time as I began my Level 4 qualification in floristry. I am fortunate enough to have been brought up surrounded by beautiful plants and fresh flowers as my parents own a horticultural nursery and my passion developed from a young age! I now have a studio based at the nursery and can often be found out and about on the nursery with a pair of scissors and a bucket of freshly picked flowers to incorporate into my work. At the end of year 12 I left school and went to college to study my National Diploma in floristry in which I got a triple distinction. Along the way I also entered two national competitions, winning one and coming second in the heat that I did of the UK Skills Challenge. At the end of this course I was taken on full time by my placement provider and was given lots of experience and opportunities. 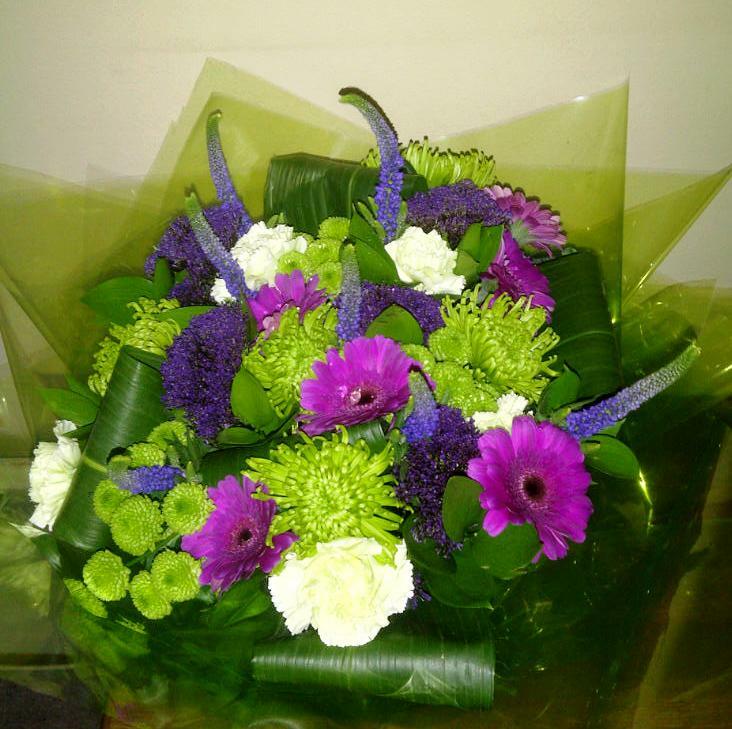 After two years it was time to move on and do something more challenging so I accepted the job of a florist manager at a bigger shop, in a busy town. The experience I gained in my twelve months here was invaluable and I eventually decided it was time to go it alone, so Signature Flowers was born. For the first year I didn’t actively go about getting business as I was still studying for my Level 4 qualification, once a week at Berkshire College. However by doing weddings for friends and in the village I soon began to build a reputation and get a small following on social networking sites. I decided to put my foot on the throttle in October 2011 when advertising and wedding fairs became a priority and this is also when I joined Ice the Cake, since joining I have had lots of great opportunities taking part in networking events and working with others on photoshoots. 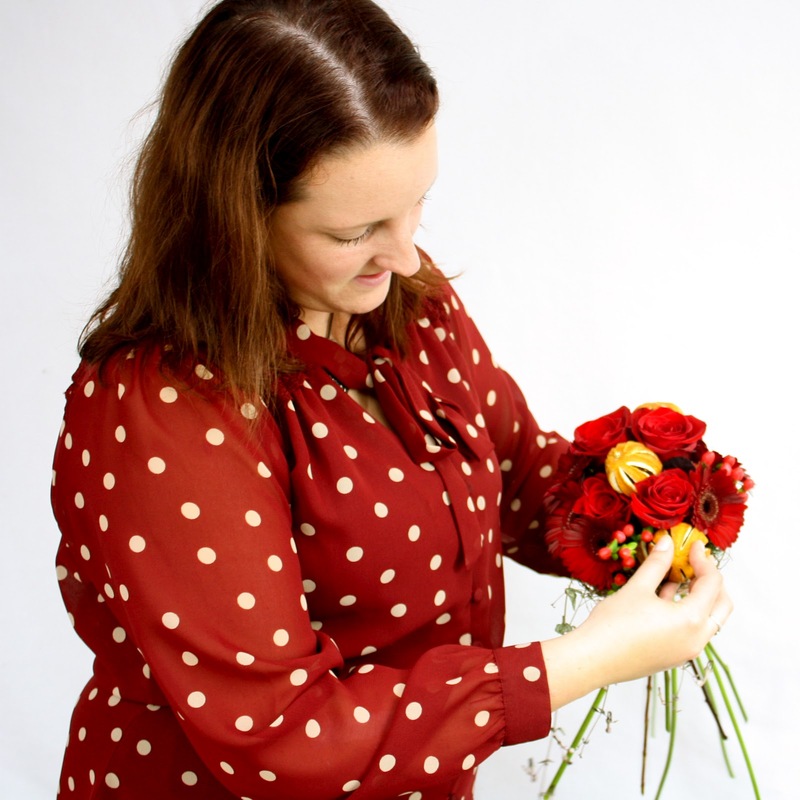 In September 2011 I began my Master Diploma in floristry with renowned tutor Tina Parkes, on completion of this course in January 2013, I will be one of the first 100 English Master Florists. Wedding work is my favourite type of work, as every wedding is so individual to the couple, I endeavour to capture your dreams, and turn them into arrangements and bouquets you will remember for ever.